Erick Salgado has been an integral part of creating and growing Palisade Commercial Realty. 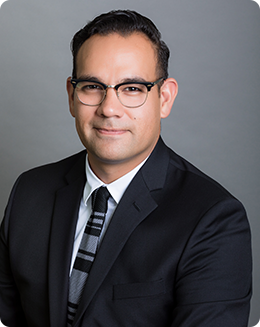 After realizing he was enthralled with the fast pace of commercial real estate; Erick began representing investors with multi-family units and retail properties. After continuous training and managing hundreds of transactions, Erick now possess a strong grasp of the buying and selling process. His knowledge and expertise are a product of years of experience and hundreds of transactions across San Diego County where we represent local and international clients. His mastery of technology and exceptional customer service allowed him to help elevate our brokerage’s position in the real estate industry. Prior to his real estate career, Erick was a paralegal which helped him to have a clearer understanding of contracts and their terms. This experience helps Erick to serve his clients more effectively, especially in the commercial real estate market where there is a multitude of specifically drafted agreements tailored to each transaction. Real Estate can be an intimidating topic, but it doesn’t have to be. With the right people on your side, buying and selling property can be exciting and rewarding.